On Monday, U.S. 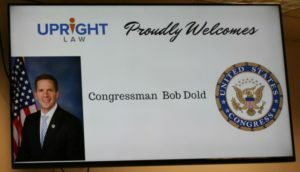 Congressman Bob Dold visited the UpRight offices and talked with young professionals who arecarrying student loan debt. 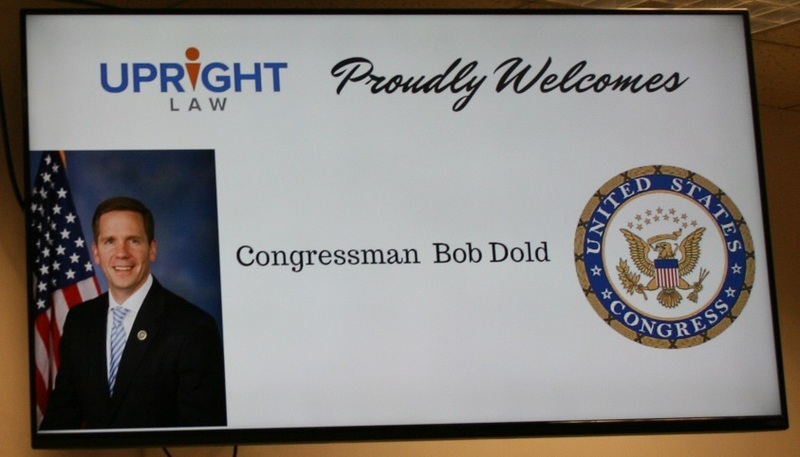 Back in May, UpRight CEO Ed Scanlan announced UpRight’s student loan repayment assistance program at the same press conference where Representative Dold unveiled new proposed student loan legislation that would, among other things, make employer contributions pre-tax. 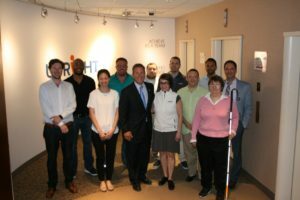 During the Congressman’s visit, UpRighter’s learned more about his proposed HELP Act, shared their student loan experiences and concerns and discussed the UpRight repayment assistance program. Obviously, we would love to see those contributions treated like medical insurance and 401(k) contributions, and we’re grateful that legisl ators like Representative Dold recognize the role that employers can play in solving the student loan problems that are hampering a generation of Americans. We also had the opportunity to show the Congressman around our offices and explain how we’re using technology and our 49-state partnership to expand access to justice in the U.S.
We didn’t get him to play ping pong with us this time around, but we’re practicing for his next visit.